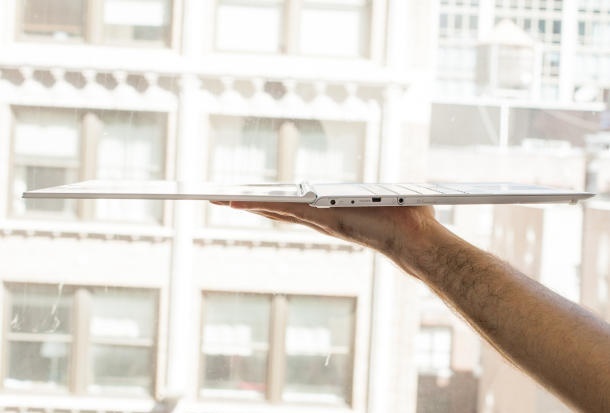 Aspire S7 is Acer’s thinnest touch Ultrabook™: showcases a aluminum body along with Corning Gorilla® Glass 2 cover making it incredibly light, strong and slender. Its outstanding 13.3″ Full HD touch display beckons you to be social, get stuff done and opens flat for easy touch-and-show sharing. The keyboard led light to the perfect glow for comfortable use in dim lights, while the dual-torque hinge keeps the display stable while using both touch and type. 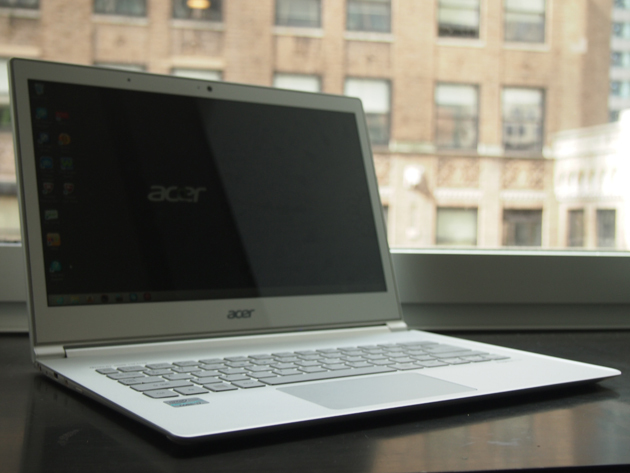 The Acer Aspire® S7. The S7 is a razor-slim 0.47″ and a feather light system measures only 2.87 lbs that you can take it virtually anywhere! The powerful Gorilla® Glass 2 cover makes the Aspire S7 smooth to touch and beautiful to the eye and also it provides extra strength to your display. 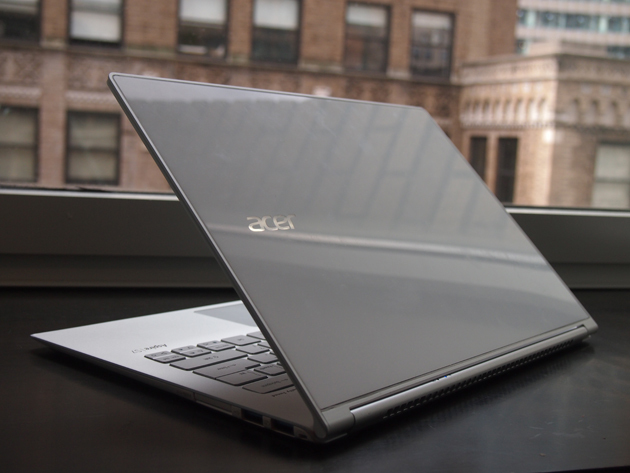 It is scratch resistant, super strong, and easy to clean, and it participates to the Ultrabook’s thin and light form factor. 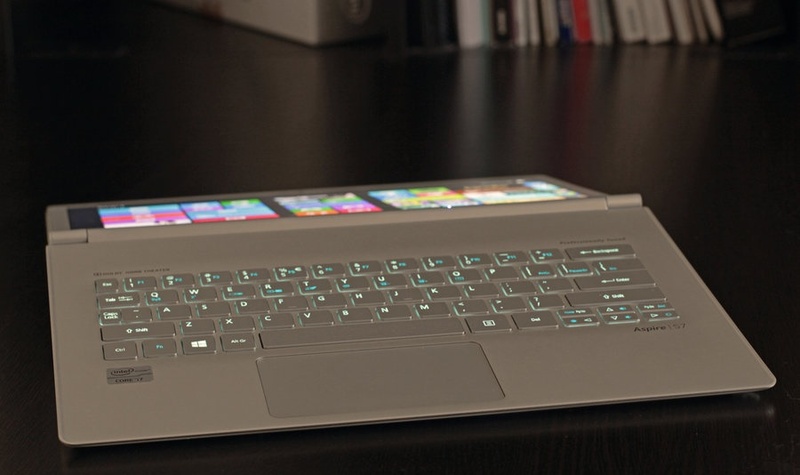 There is a smart sensor in the keyboard that automatically illuminates, optimizing its glow to keep your eyes comfortable and helps you to work late at night with dim light, and the most known issues, overheating, Acer this time tried to overcome that, Aspire S7 comes with TwinAir cooling efficiently keeps the CPU cool and always keeps the PC comfortable in your lap. A notebook or PC has touch display means there must be Windows 8, Personally I believe, windows 8 is everything you want at one place, right from the Start. Now it has upgraded to Windows 8.1 for free, that offers many new features to use it in even easier way, allowing you to do even more. More games, more ways to get stuff done, more entertainment, more ways to browse, search, and connect with the people you care about over the internet. We should thanks to Acer for offering Hybrid Standby Technology that delivers up to 80 days(1) of standby power. Plus, you can work continuously for more than 6 hours. With this specs and battery backup you can work with confidence for long. One more added feature to this device is the notebook automatically enters to Deep Sleep after 75 minutes in Sleep mode, or you can set the time manually. In this mode, battery, surprisingly life lasts up to 80 days if the battery is fully charged. The crispy 13.3″ Full HD display offers wide viewing angles which is up to 178 degrees. The S7’s display opens flat and a hotkey is there that allows you to flips the view 180 degrees for easy touch-and-show sharing with a person sitting across you. A 10-point touchscreen features a fun, awesome touch experience supported by impressive Intel® HD Graphics 4000, offering crystal-clear images and brilliant color mixture for an exceptional entertainment purpose. Enjoy streaming your favorite shows, engaging on social networks, surfing the web and more—all in stunning HD. Enjoy the excitement of an automatic burst of speed when you need it with Intel® Turbo Boost Technology to increase the processing speed. Experience your photos, games, movies smoothly and flawlessly with a suite of visual improvements built into the processor and for that you need to attach any external hardware. Acer with all Ultrabook series has started giving Acer Cloud access that allows anytime, anywhere access to all your music, photos, videos and documents on the go on all your devices across almost all operating systems. The 1.3 MP HD Webcam captures amazing video image quality at 24 fps, again thanks to Acer for offering high pixel density. Also it has a crystal-clear chats with friends and family across town or across the country. Acer is offering 128 GB SSD for blazing fast performance in RAID 0 configuration.